AMSOIL is proud to be the title sponsor of the GNCC Racing series for the past 7 years. New for 2019, AMSOIL is partnering with the series to bring a GNCC AMSOIL Moto Hero to each and every round. Racers, Fans, and Industry Personnel are welcome to nominate themselves or someone they know who are currently serving in the military, retired from the military, are a first responder or former first responder for this prestigious honor. 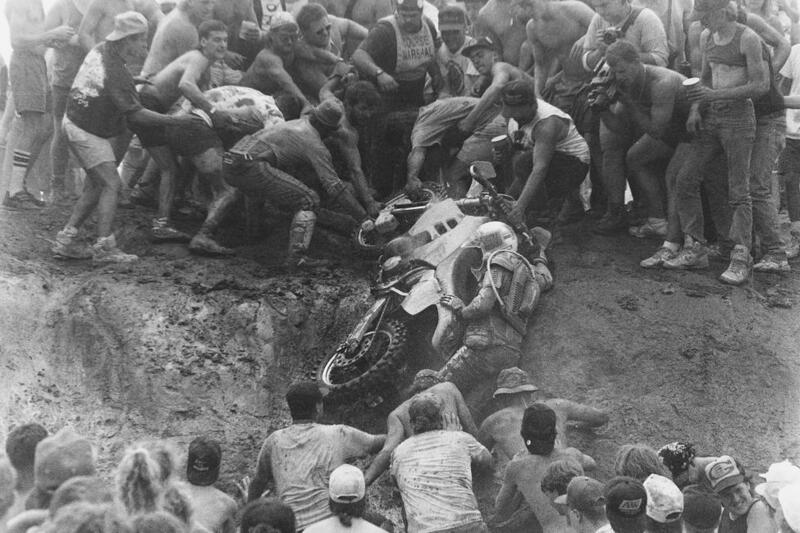 For most folks, this week probably feels like the first “real” week of the GNCC off-season. Last week we were fresh off a big weekend at Ironman and this week we roll into our first full week without a GNCC event to recover from or look forward to. Does that mean that a big chunk of the GNCC Racing Nation has been sitting back and relaxing? Heck no! With some post-season races happening and a lot of folks heading to Chile for next week’s International Six Days Enduro, it still feels like race season even though the GNCC season has ended. Before we dive too far into this week’s Quick Fill, we wanted to make a quick PSA. We have around 130 rented transponders from the end of the season that were not returned. The cards on file have been charged the transponder purchase fee but if you rented a transponder at these final three rounds, still have the transponder and your receipt to go with it and would like to return it for a refund minus the $10 rental fee, then you can ship to our office and we’ll void the transaction on your card on file. If you’re interested, contact me at [email protected] and we’ll work out the details. Keep in mind, this is only good if you rented at Mason-Dixon, Powerline Park or Ironman and did not return the transponder. We have your info on file, so if you kept one through the whole season and try to return it now, then we can’t take it back. Last weekend, our buddy Ronnie Paul Wilson hosted the annual NECXC Buddy Race. I decided it would be a good idea to go run the Ironman class thanks to the support of some of my buddies that tell me I’ll be fine because I “ride all the time”. Well, there’s a big difference between riding sweep and racing. When you’re riding sweep, it’s a much more laid back pace and you really only end up riding one or two laps at a time. Racing the Ironman class at a 3.5 hour long Buddy Race is good training but if you’re not conditioned for that, then it’s tough. Trust me. 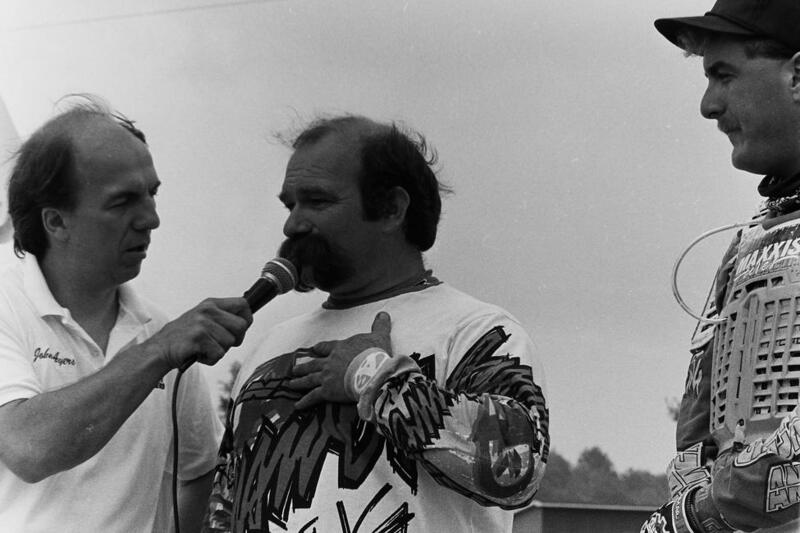 Since nobody wants to read about my race, I’ll just say that five-time GNCC Vet A champ Joe Marsh put a whooping on that Ironman class and took the class win with a grand total of 12 laps. That actually put him on the lead lap and finished eighth place overall out of 67. 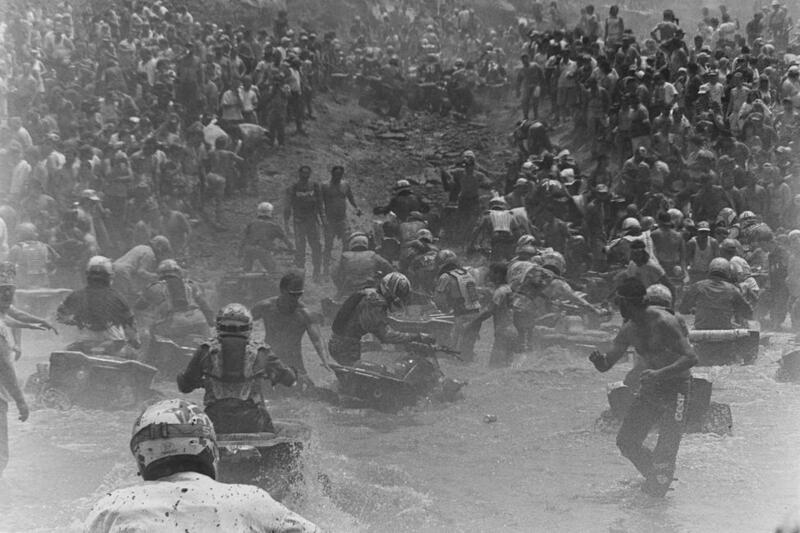 With 12 riders in the Ironman class, that means he beat 48 teams of two riders and 11 other Ironman riders. 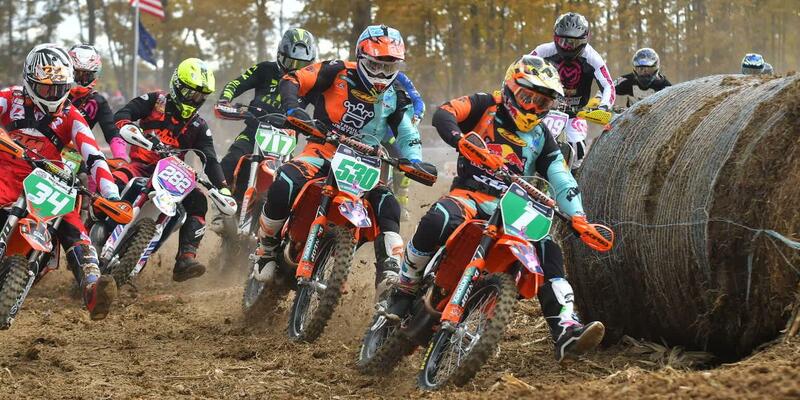 In the Pro class, TEly Energy’s Dylan Ely teamed up with Ride On Moto’s Luke Ross to take the overall win. The team of Hunter Neuwirth and Ayden Pratt teamed took the second place spot while Mike Miller and DeShaun Horton rounded out the podium in third. On the ATV side, I’m not sure whom everyone was teamed up with as the results only list one rider’s name but Wes Kinsley claimed the overall win by just 36 seconds over Ronnie Rusch after 2 hours and 28 minutes of racing while Eli Kiger’s team rounded out the podium in third. 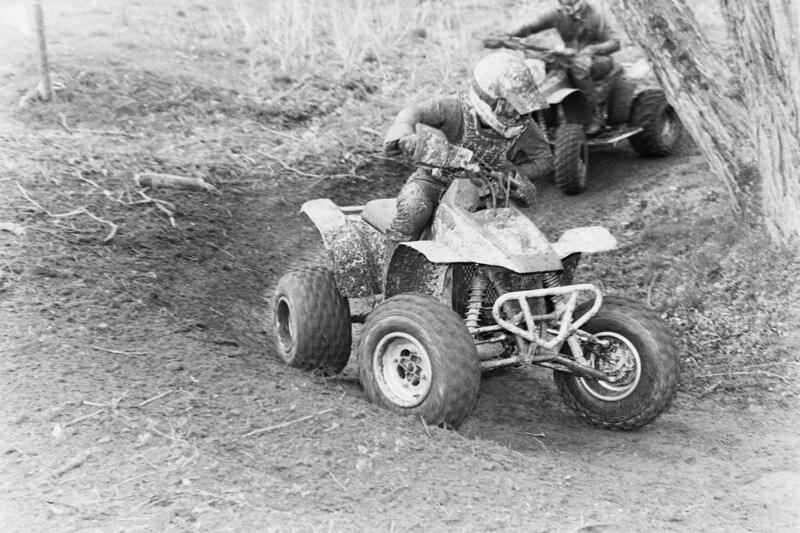 In the ATV Ironman class, 4x4 Pro competitor Ronald Varndell took the win and finished 9th overall out of 39. I said nobody wants to read about my race, but I’ll share a quick bit about it anyway because it’s the off-season and these things are fun to share. I was actually third off the Le Mans style start (you had to run to your bike from the first turn, and I’m not a strong runner) and we ran a big grass track off the start. The leader made a mistake and several of us got by. I looked back and saw Joe Marsh and knowing how fast Joe is, I waved him by and decided it would be smart to try and pace him. We managed to get around the leader, and I followed Joe for a short part of that first lap, but that didn’t last long after I got a serious case of arm pump and made a bunch of little mistakes. The first few laps were super slick, which I will gladly admit are the type of conditions that I’m NOT very good at. So, I ended up just going for a trail ride after that and enjoyed some seat time. I ended the day in fourth place, about a minute and a half behind third. I’m pretty content with that considering how poorly I rode in the early stages of the race and with the fact that I just set out for a day of trail riding. Next week, all eyes will be on the country of Chile, as the 93rd edition of the ISDE will be taking place. For those who may be unfamiliar with the event, here’s a quick ISDE 101. This is like the Olympics of off-road motorcycle racing where countries select multiple riders to compete at the event. Each country selects four riders to their World Trophy Team, which is the premier team for each country. This year, the US World Trophy Team consists of Ryan Sipes, Steward Baylor, Taylor Robert and Zach Bell. Each country also selects a Junior Trophy Team. This team is for riders 23 years of age and younger and this year the US Team consists of Josh Toth, Ben Kelley and Grant Baylor. There’s also a Women’s Trophy Team, which the US Team is made up of Becca Sheets, Tarah Geiger and Brandy Richards. Riders for each country can also qualify to race the event on a Club Team. The Club riders are made up of other top riders from across each country with the majority of them being top-level A-class riders. 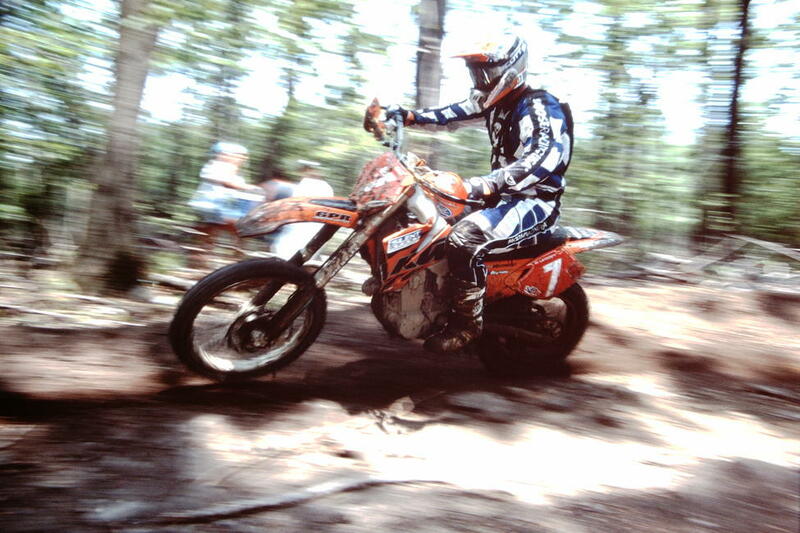 Once on a team, a rider also has to compete in a class depending upon their motorcycle size. The E1 class is for 125cc 2-strokes and 250cc 4-strokes, the E2 class is for 175-250cc 2-strokes and 290-450cc 4-strokes while the E3 class consists of 290-500cc 2-strokes and 475-650cc 4-strokes. These days, most commonly you will see 250F’s in the E1 class, 350 or 450cc machines in the E2 class and 300cc 2-strokes, or occasionally a 500cc 4-stroke in the E3 class. 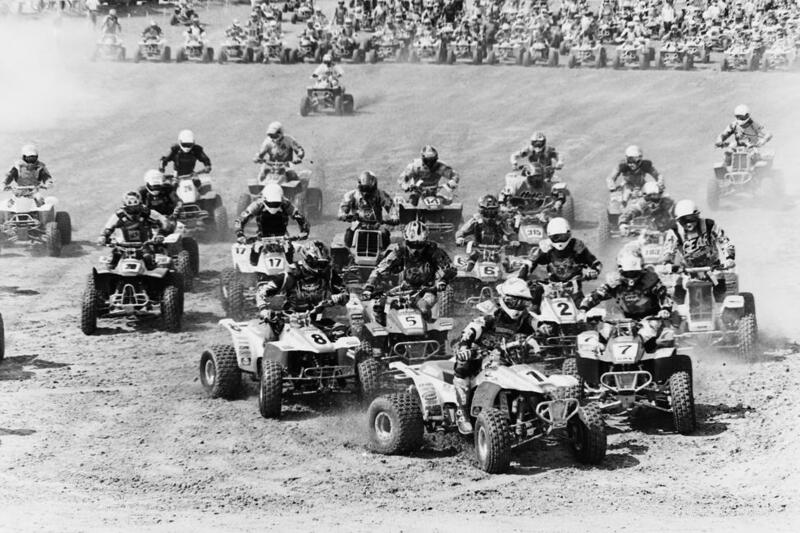 While there are honors for winning each class, as well as the individual overall, the ISDE is still mainly a team competition. In the 93-year history of the event, the US has only claimed the World Trophy win one time and that came in 2016. US has won the Junior Trophy a total of three times with the first coming in 1991 then the other two wins in 2006 and 2014. Things get started on Monday, so we’ll be bringing you the best updates we can as info begins to roll in. Luckily, with the time difference, they’re only about 2 hours ahead of us in Chile opposed to much larger time differences in years past. Our own Jeff and Trevor Russell along with our buddy Hollywood of the GNCC Track Crew are all in attendance, so hopefully they can send some behind the scenes updates our way next week. It’s going to be pretty interesting to watch it unfold! Back stateside, the AMA announced their 2018 AMA Championship Banquet award nominees we have seven individual GNCC athletes who are nominated for the 2018 Awards. AMA Members are encouraged to vote and help choose the winners of the selected categories, including the highly sought-after AMA Athlete of the Year awards. The award winners will be announced at the 2018 AMA Championship Banquet on Saturday, December 8 at the Hilton Columbus/Polaris in Columbus, Ohio. To cast your vote for the 2018 AMA racing awards and see a full list of the nominees, follow the link HERE. Voting will end at midnight on Sunday, November 11. Just being nominated is huge honor for all of these GNCC racers but they’re up against some other very popular racers from across the country. So if you’re an AMA member, be sure to cast your vote and do your part to help these GNCC racers win these awesome awards. Of course, you can only pick one for each award; so it can be pretty difficult to pick a favorite as each of these athletes is well deserving of their respective award! Ken Hill is swamped with work around the house so we’ll catch up with him another day. As always, if you have any cool stories or other info to contribute to Quick Fill, just drop me a line at [email protected] and we’ll get you featured in an upcoming edition of Quick Fill. Like I mentioned this week, reading back through the early days of Quick Fill, folks would submit stuff to Jason Weigandt all the time and he always had interesting stories to share. With the dawn of social media, it’s a lot easier to get your name and stories out there but we’re still glad to share them here! That’s going to do it for this week. Enjoy your weekend and we’ll see you here next week! 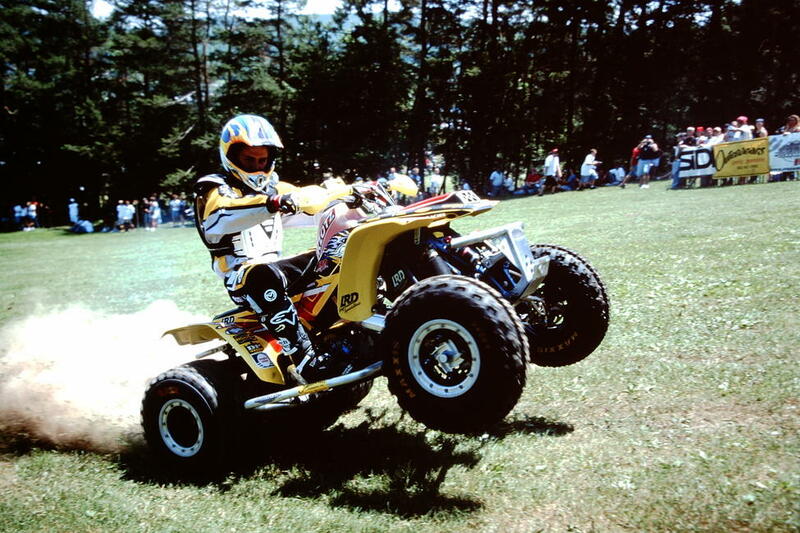 Bill Ballance rolls to the line at the 2003 Wisp GNCC.